The Facebook (FB)-owned app rolled out a series of new features on Monday, including one that lets users send disappearing photos and videos. It also added a livestreaming feature. 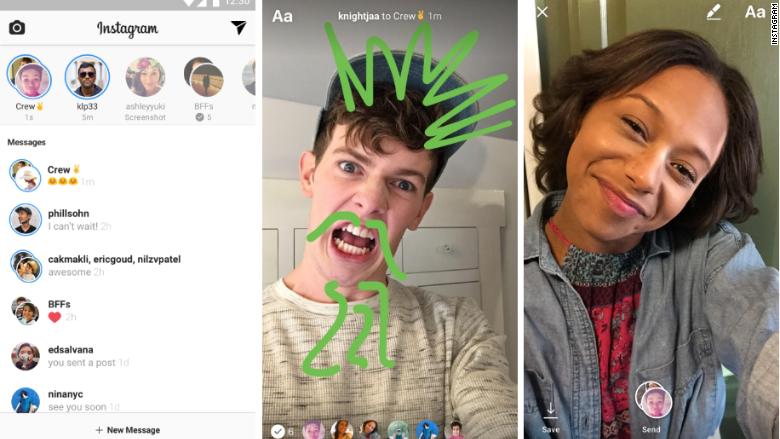 Instagram users can now send ephemeral messages to individuals or a group via the app's camera tool. You'll need to swipe right on the home screen to access the feature. The self-destructing messages can only be sent through private messages and live in the user's Instagram inbox. Circular avatars appear at the top of the inbox to differentiate them from other messages. Although disappearing messages are immediately removed from the app, the content is visible until the last person has seen it. The company then stores it for a limited time, so it can be reviewed if there's a reported violation. 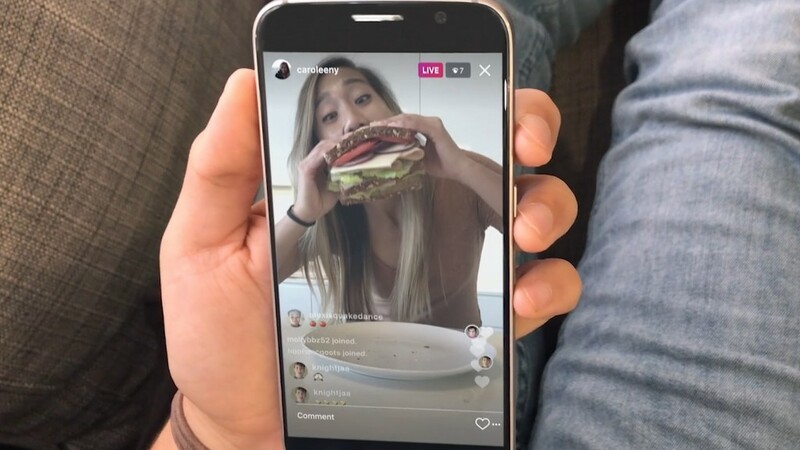 Meanwhile, users can share live video of what's happening in real-time. 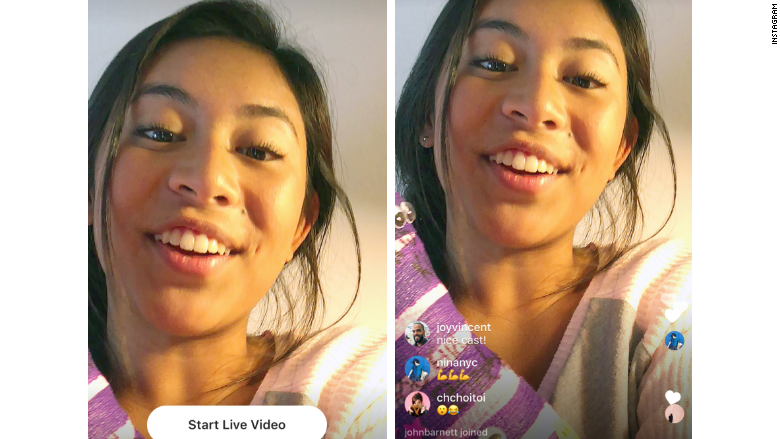 Unlike the feature on Facebook, Instagram's streaming tool is only available to watch while someone is recording. Users record a live video from the in-app camera. The latest additions follow Instagram's introduction of Stories, a public collection of photos and videos that disappear after 24-hours. Stories are almost identical to Snapchat's feature of the same name. Instagram's new features cater to teens, a demographic Snapchat has successfully courted and nurtured. The company's promotional video shows a group of young people using the tools. Whether or not Instagram can usurp Snapchat depends on whether users and their friends decide to make Instagram the ephemeral app of choice. Instagram has 300 million daily users, while half as many use Snapchat each day. Snapchat has a robust suite of features including lenses and stickers that aren't available on Instagram. Further, Snap Inc. -- Snapchat's parent company -- is now moving into hardware with the launch of Spectacles. The $130 smart sunglasses are popping up in vending machines across the country. The slow roll out of Snap's first physical product is causing a frenzy. It's not easy to get your hands on a pair, which are sold in limited supplies. Instagram's new features are rolling out globally beginning Monday.